A week after the Milbank student protest, a vast witch-hunt is already under way by the police to track down the 'culprits'. 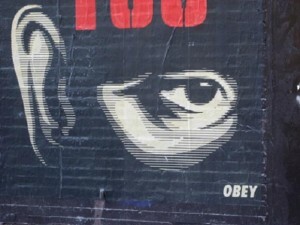 Using popular displays of outcry over the cuts as a pretext, the government is stepping up its efforts to spy on activists and the public. In his new column, Mikhail Goldman says resistance is essential. Diary of a Domestic Extremist – Carry on Camping? 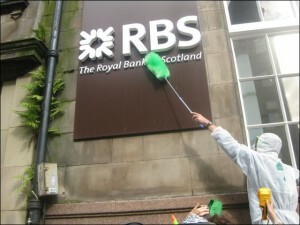 The past week has seen the 5th Camp for Climate Action take place outside the Royal Bank of Scotland's headquarters in Edinburgh. In a passionately polemical column, Mikhail Goldman argues that the choice of target could have brought together a wide spectrum of greens and anti-capitalists, but that the timing was completely wrong. He concludes that although the climate camp movement has to be applauded for its considerable achievements, its prominence has come at a heavy price.